A statement is a piece of information provided by someone as an evidence for a claim or a verifiable proof of the necessity of an action. An employee statement, therefore, is information written by an employee to verify an action or a claim. Statements are often necessary when the burden for evidence of a claim is necessary to verify the claim. The best way to prepare a statement is to use a Statement Forms. An employee witness statement can only be legal and reliable if the writer provides accurate and verifiable information. It would be best to describe an incident exactly as it happened, and when it happened. 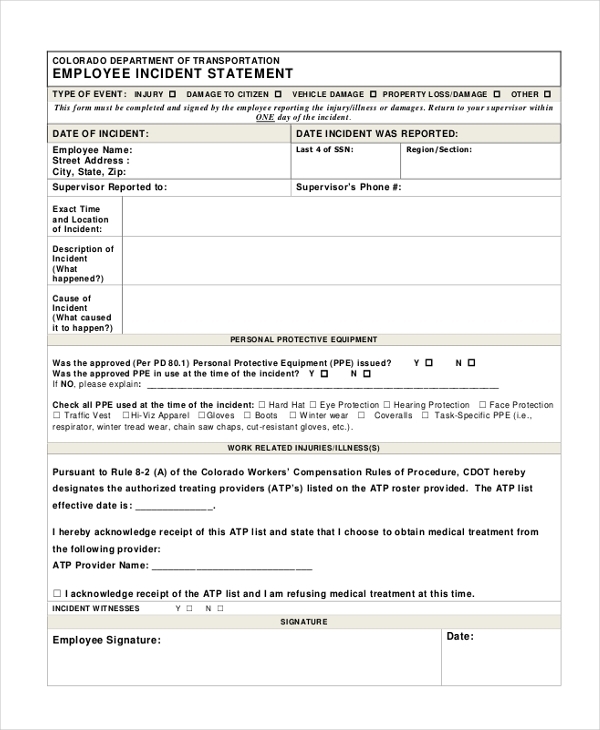 An employee who would like to report an incident can use the incident statement form to report an occurrence To Whom It May Concern. Be as descriptive as possible; your statements must be clear and easy to understand. 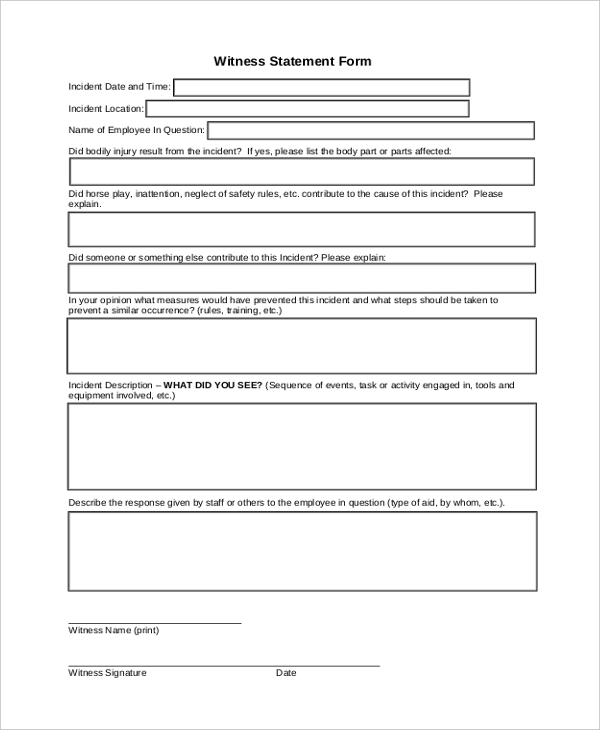 An employee who gets involved in an accident should report the incident immediately it happens. The statement will not only inform a supervisor about an employee’s condition but also make the management understand why a worker is not at the workplace as expected. The only verifiable proof that you have been through a counseling session is to write and submit an employee counseling statement. 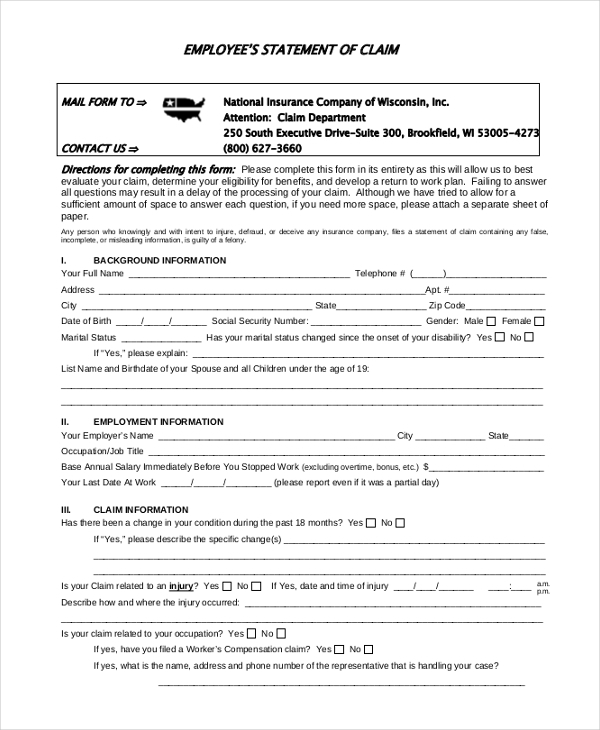 You can use this form to present the proof in a statement. An income statement is a total declaration of the total amount of money you earn every month. An income statement is often necessary for a loan application, mortgage purchases, and property leasing, to mention but just a few examples. Before accessing important and confidential information, your employer may require a confidentiality statement. 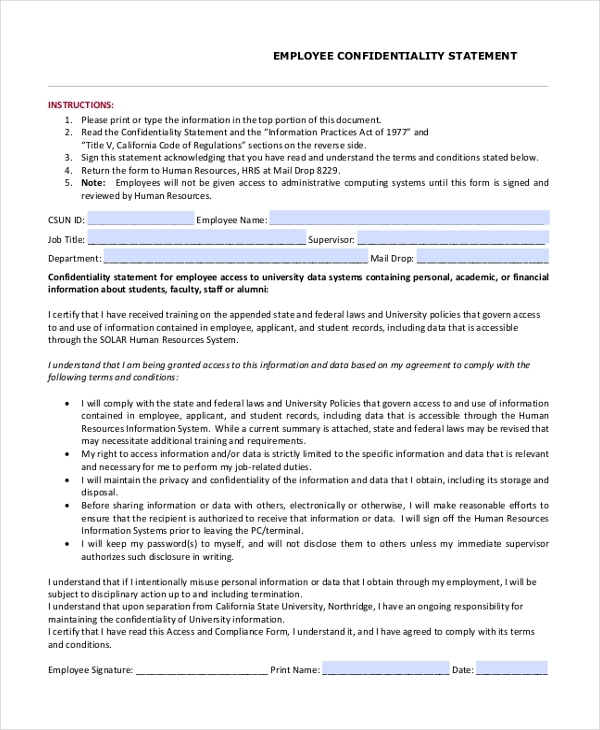 You can use this template to write and submit the confidential information statement. 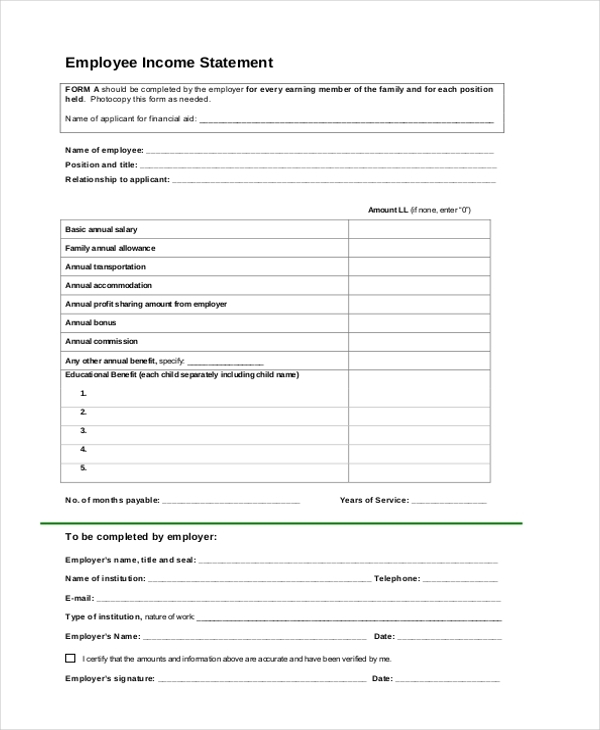 An employee who didn’t come to work for whatever number of days, should fill out a verifiable medical statement form and then submit the information to the Chief Executive Officer or the Human Resource Department. A statement of sickness from an employee is a verifiable note, which often states that an employee did not attend work due to sickness. The form is easy to fill out. Use the template as is; no need to alter the design. Recruiting new employees on conditions often require that you have a comprehensive list of conditions for new employees. 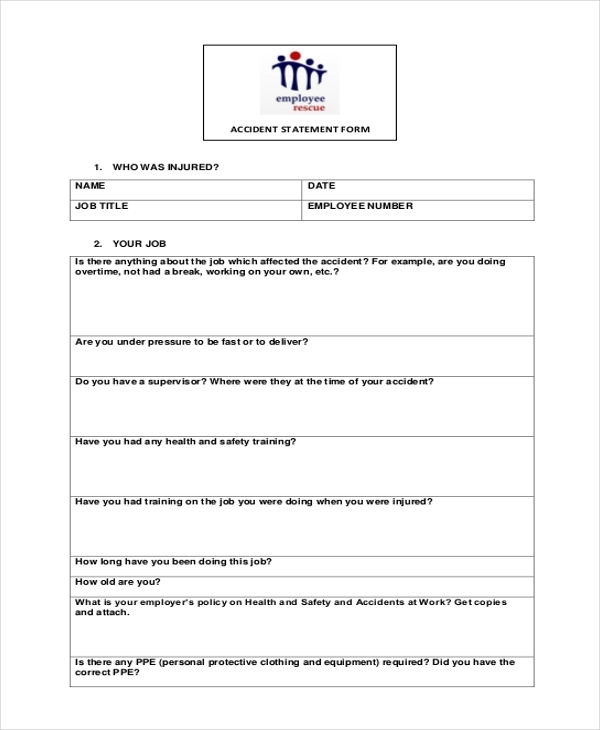 You can use this sample form template to outline all the conditions that you can work with. An employee can write a statement of claim under different circumstances. This template is customized to simply the process of making a claim of whatever kind. Download the PDF file for free. The sample forms are all available for free download. So, instead of spending a lot of time creating the templates from scratch, consider downloading a template suitable for your needs. You can use these sample forms for commercial activities without the need of a license to do so. Therefore, all you have to do is download the sample form template with the click of a mouse and you are ready to start using the template for your work. 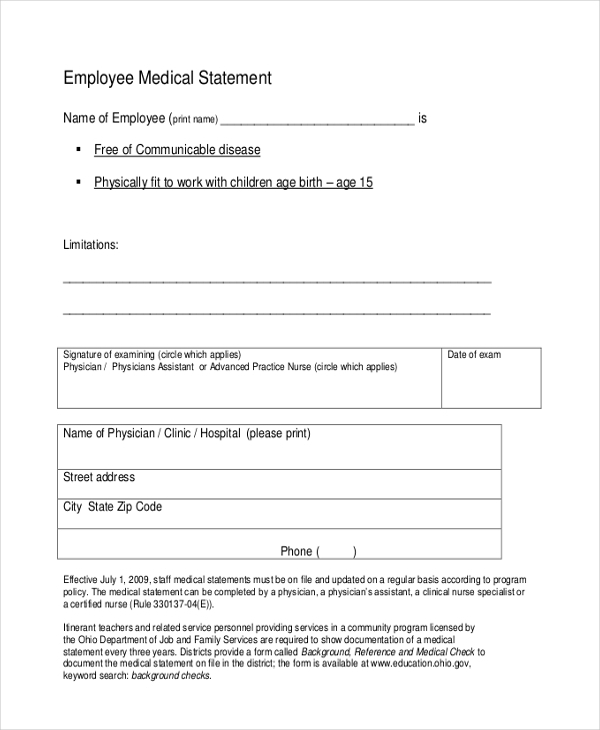 Employees’ statement forms are useful because they give an accurate account of activities as witnessed. 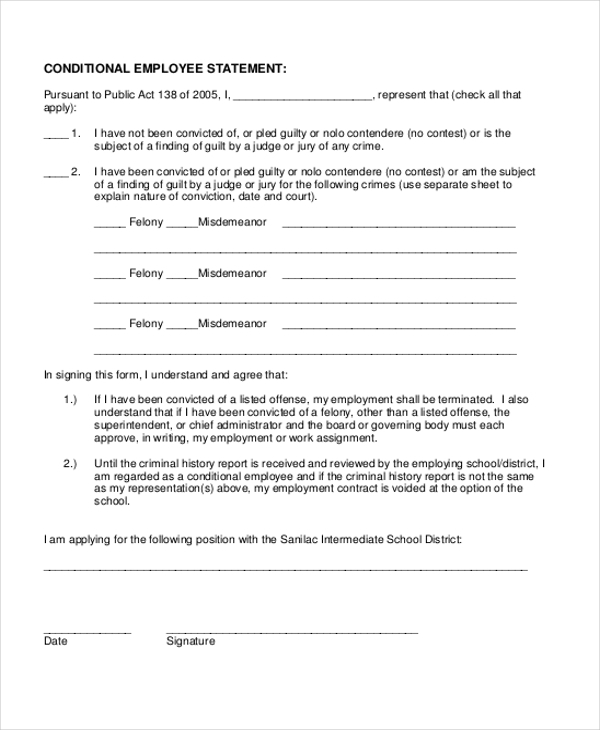 You may also see Sworn Statement Forms. Every form described above is free to download and ready for print. However, unless you are sure you have evidence of an incident, you may not use these templates at all. That means you must not indulge yourself in trying to provide proof when you actually know nothing about an incident that occurred. 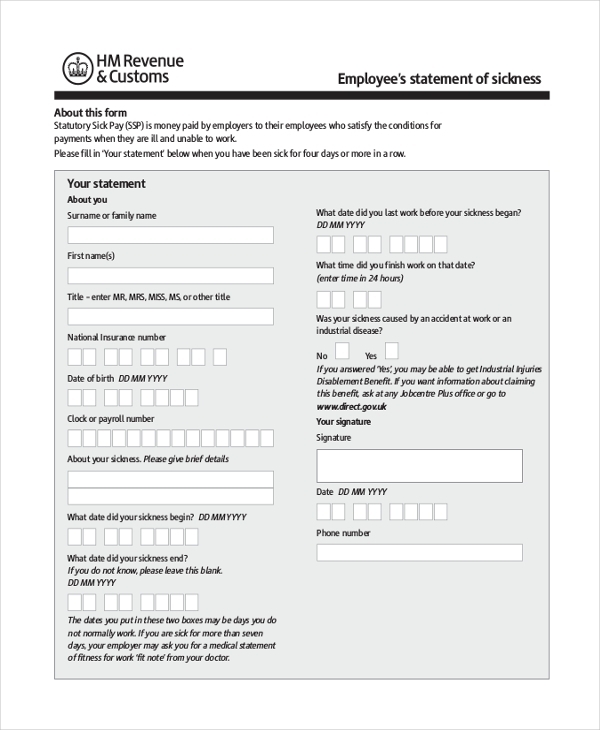 You can also see Statement of Claim Forms.